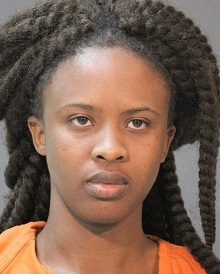 On February 24 at approximately 11:20 p.m., Calcasieu Parish Sheriff’s Office deputies responded to a report of a 2 year old child left unattended inside a car that was not running in a parking lot of a local casino in Lake Charles. Upon arrival deputies were able to unlock the car and check on the welfare of the child. Casino security located the child’s parents, Maureen N. Cheto, 23, and Amstrong H. Otieno, 30, both of Leesville, on the casino floor. When deputies spoke with Cheto and Otieno they stated they left their son sleeping in the car while they went inside to gamble. When detectives viewed surveillance footage at the casino they learned the child was left alone in the car for over an hour. 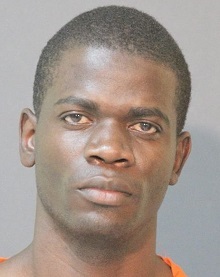 Cheto and Otieno were arrested and booked into the Calcasieu Correctional Center and charged with child desertion. Judge Ron Ware set both their bonds at $7,000. CPSO Deputy Austin Wright is the arresting deputy and Detective Michelle Robinson is the lead investigator on this case.